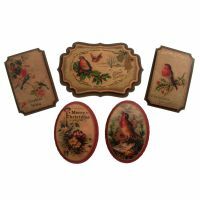 These Christmas embellishments feature vintage style robins and holly along with Christmas greetings and messages. The colours are muted giving and aged appearance to add a touch of vintage elegance to your Christmas cards, tags and gifts. 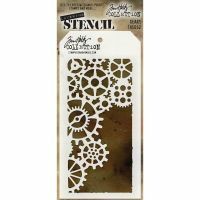 The pack contains five different designs each with self adhesive backing making it quick and easy to apply them. Shapes and sizes vary up to 6.5 x 4.5cm or 2.5 x 1.75 inches.